If there is one thing we can all agree on regarding the 2018 Minnesota Twins, it’s that they have a higher floor than their 2017 counterparts. Still, established pieces are going to have to maintain or raise the level of their game in order to keep their jobs. Most notably; Taylor Rogers. Rogers was drafted by the Twins in the 11th round in 2012 out of the University of Kentucky. He exceeded rookie limits in the 2016 season and is not eligible for arbitration until 2020. 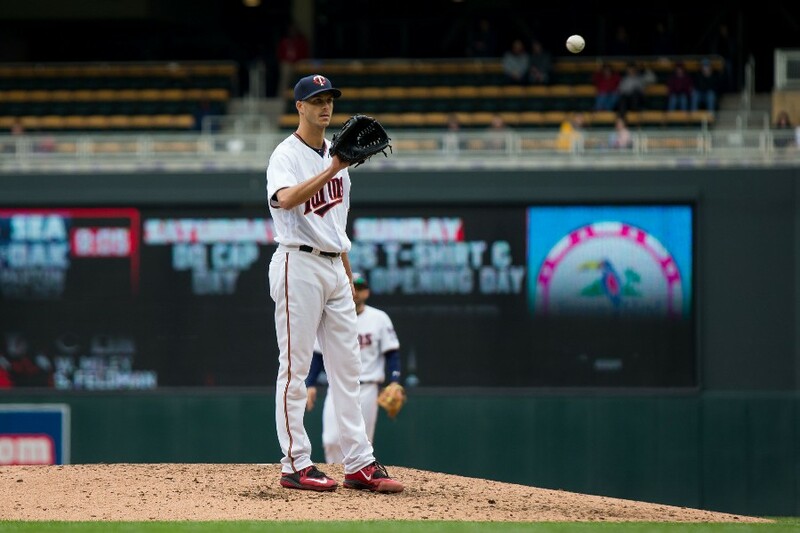 With that amount of team control it's important the Twins know what they have, and what they don’t have, in the 27 year old left-hander. Rogers made his MLB debut in 2016, pitching 61 innings and excelled. He managed a 3.96 ERA on the back of a 9.39 K/9, 2.35 BB/9 and GB% of 51%, all really solid numbers. Rogers’ xFIP of 3.47 was indicative that he might be scratching the surface of being an excellent relief option for the Twins. Perhaps unsurprisingly, Rogers had pretty dramatic splits in 2016. Against lefties, he put together an excellent .202 BAA, .286 SLG and .281 BABIP. Conversely, Rogers struggled against righties, to the tune of a .291 BAA, .462 SLG and .348 BABIP. This led most to the conclusion that Rogers could be a viable long-term option as a LOOGY. The first half of Rogers 2017, however, would call that conclusion into question. "It was the best of times, it was the worst of times." Words from Charles Dickens which are applicable to Rogers’ 2017. In the first half of the 2017 season, the Twins bullpen was in flux. Not only did the big league club use a record 16 starting pitchers over the course of the season, a slew of Quadruple-A types saw time in the pen. With a stable bullpen, Rogers would likely have faced predominantly LHH. The Twins were struggling, however, and Rogers began to see RHH with increasing frequency. Surprisingly, he delivered in a big way. Prior to the end of June, Rogers managed an incredible 1.35 ERA against RHH, with a stingy .257 SLG, and .227 BAA. For the Twins, this was a boon of Hildenbergian proportions. In the first half of 2017, Rogers threw to 33% more RHH than LHH. That split evened in the second half of the season, but not significantly enough to prevent a major regression against righties, evidenced by his 5.79 ERA, .355 BAA and .581 SLG the rest of the way against RHH. It’s almost a certainty that Rogers’ first half numbers against RHH were an aberration. A return to dominance against LHH (he had been solid but unspectacular against them in the first half) helped mitigate the damage of an awful second half. All in all Rogers finished the season with numbers which would lead most to consider him a left-handed specialist. Rogers offers more than Buddy Boshers, but not a ton more. Rogers’ pitch mix is important to understanding why he suddenly fell off a cliff against RHH in the second half of 2017. Rogers relies on a sinker, four seam fastball, and a curveball. Additionally, he mixes in a changeup pretty infrequently (only 4% of the time in 2017). Rogers has above average velocity on most of his pitches, his fastball generating a ton of fly balls, and his changeup generating a decent number of groundballs. Rogers decreased his chageup usage as the 2017 season progressed, ditching the pitch altogether in July. Coincidentally, that was his worst month of the year. He got it to the tune of an ERA of 8.18 and gave up a .614 SLG that month. This makes sense. The changeup is an equalizing pitch to throw to opposite handed hitters (that’s why Johan Santana was so dominant). Despite not having a great changeup to begin with, Rogers was continually being put in tough situations against RHH without a weapon to neutralize them. This, in addition to an uncharacteristically high walk rate, led Rogers to an awful second half. On one hand, there is reason for optimism for Rogers in 2018. Despite having a pretty rough spring training, it’s likely that his elevated walk rate from the second half of the season is a mechanical issue which is now resolved (two walks in 11 IP in spring training suggest as much). On the other hand, his splits are real, Rogers might not be a true LOOGY, but he isn’t a pitcher the Twins should be relying on to get out RHH on a consistent basis. Additionally, the Twins have some interesting arms waiting in the wings. Gabriel Moya (owner of an excellent changeup) is a candidate much more likely to be successful against both LHH and RHH due to his pitch mix and deceptive mechanics. Tyler Jay is another candidate to be a back end bullpen option if he can stay healthy throughout the 2018 season. If either of those pitchers have strong seasons, they may challenge for Rogers’ spot. Zach Duke is already a better iteration of a LHP who can dominate LHH due to his ability to generate ground balls instead of fly-balls. With a minor league option remaining, don’t be surprised if Rogers ends up in Rochester if he doesn’t get off to a strong start. I agree with the main thrust of this article - Rogers's success, and contribution to the team, is tied more closely to careful use of him, than for most players. I like him and he can be close to shutdown against left-handed battrers but he's pretty hittable versus righties (unless the stats staff can identify the correct righties to pit him against). You can't have very many guys on your staff that need to be managed around, so unless he can figure out some magic against good right-handers, his tenure with the team could be not much longer, cheap contract or not. LOOGYs aren't too hard to come by and rarely cost very much.